Protect all endpoints, including Windows, Mac, and Linux systems, as well as mobile devices. 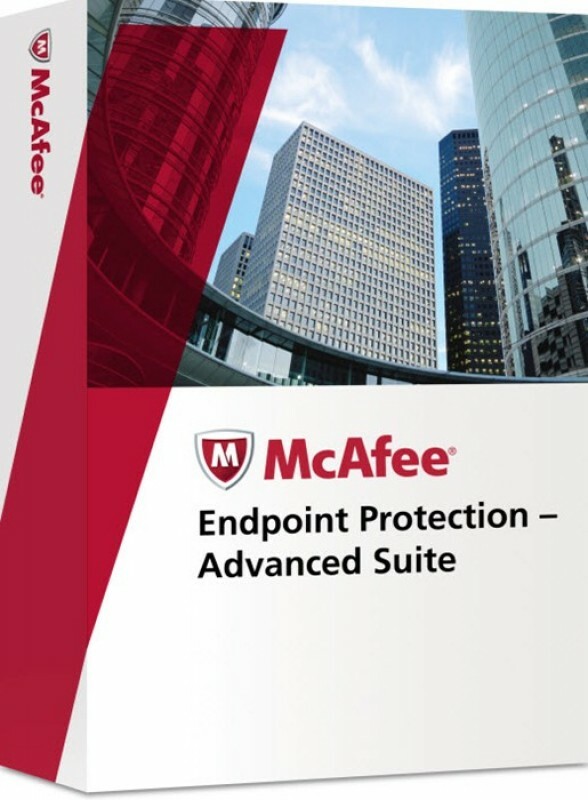 McAfee Total Protection for Endpoint — Enterprise Edition secures systems and data against sophisticated malware, such as botnets and zero-day attacks, and blocks noncompliant systems and unauthorized devices that attempt to access your business-critical systems and data. Secure your mobile workforce with integrated, proactive security to protect systems against sophisticated malware and zero-day threats. Centralized policy-based management, access control, and auditing help keep your assets safe and compliant. Secure traditional desktops and fixed systems against sophisticated malware and unauthorized devices. McAfee Endpoint Protection Suite delivers anti-malware, device control, and fundamental email and web protection in a single solution that is integrated with the McAfee ePolicy Orchestrator security management platform. McAfee Total Protection for Secure Business offers the industry’s most comprehensive security in one easy-to-manage package for endpoints, email, web, and data.